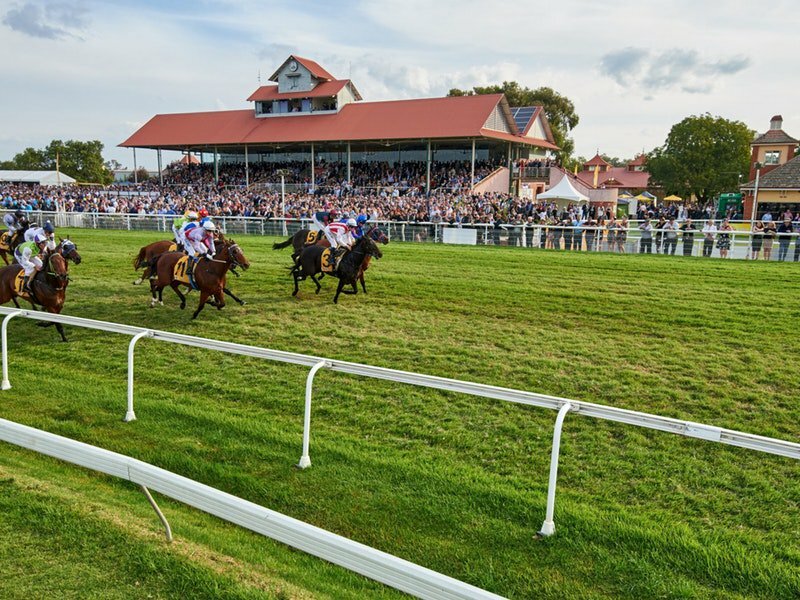 Two excellent race meetings kick off NSW’s summer racing season this Saturday with Wagga’s Silver Spoon raceday and Macksville Cup Day at Bowravillle. Murrumbidgee Turf Club’s Silver Spoon meeting also doubles as the MTC’s Christmas Party Raceday with a huge crowd anticipated. Feature on the program is the James Green Memorial Silver Spoon, an event that is one of Wagga’s most spectacular races being restricted to only grey horses. “The race for greys is a terrific sight and is always very popular with patrons,” said MTC’s CEO, Scott Sanbrook. “We’re expecting a large crowd mainly comprising businesses, along with social and sporting groups which will be kick-starting their Christmas festivities. And we still have marquee packages available. “It’s a real family fun day with a water slide and foam cannons among a stack of activities for the kids. The support race is the Benchmark 58 Handicap run over 1800m and is a heat of the Wagga Stayers’ Series. Local trainer Wayne Carroll is likely to be represented on the day with a few runners including Rock ‘n’ Roller in the Class 1 Handicap (1200m). The son of Pierro has not appeared since the winter where he only had the three starts that included a debut victory at Wagga (1000m) on July 9, when he stormed home from well back in the field. Further north and Nambucca River Jockey Club will be staging its Geoff King Motors Macksville Cup this Saturday. “This event was held for the first time last year and proved a resounding success with a large number of patrons attending,” said NRJC’s CEO, Geoff Harris. “Many companies used the event to host Christmas parties for staff and customers and a festive atmosphere was evident throughout the day. “This year’s event is likely to be similar as several groups have already booked the hospitality area for functions. “There’ll be five races with the usual food and beverage outlets operating on the day, and patrons will be able to have a flutter with the bookies or the TAB outlet on course. Hospitality packages are still available with enquiries directed to Jan Harris on 0409 393 742.